So, the first finished book of 2018 is a delightful, nonsensical yarn about a 100 year old man who climbs out of the window of his old age home and goes on to have an adventure…but his present is nothing compared to the past where he was part in shaping the world order many a times!!! 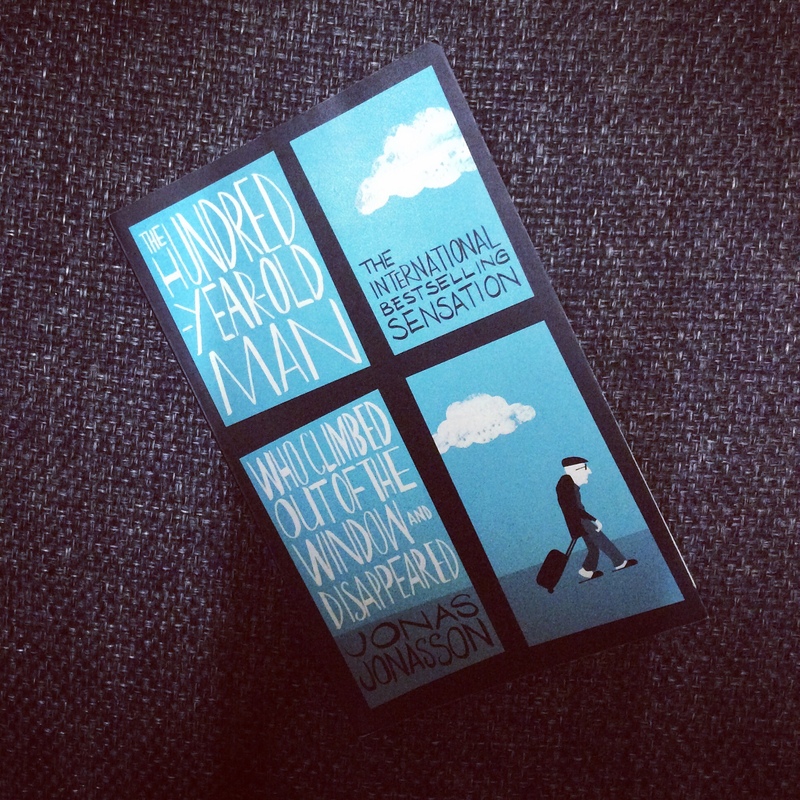 This is such a light read that you don’t mind the complete suspension of belief. You laugh, and you are happy for the motley group he makes friends on the way. 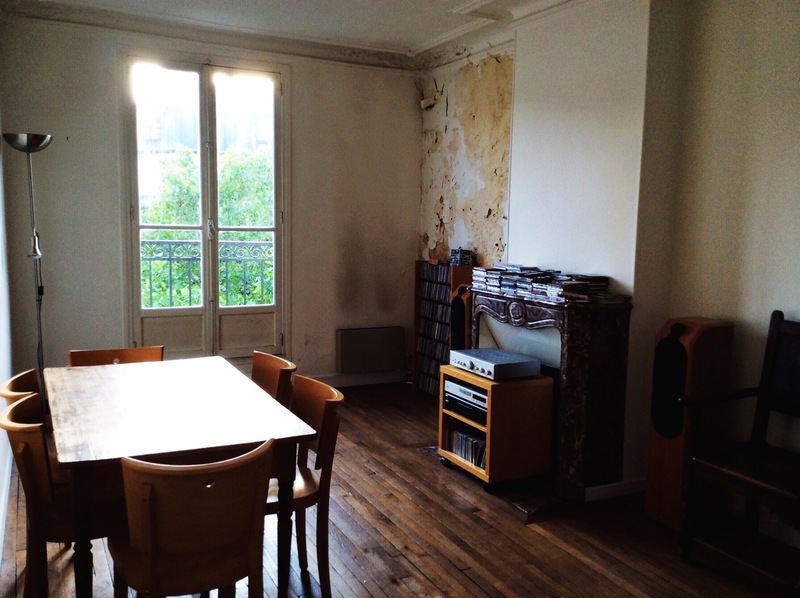 Once upon a time in Paris, I was staying in this airbnb where I had the whole, top-floor flat to myself. The owner was a middle-aged artist with this really amazing jazz collection. On those mellow June mornings while hurrying to get ready (had a whole city to cover) I would play anything from this collection and music would spread through the whole house like molten sunshine. If I had had more time at hand, I would have just sat there on the floor and gone through each and every record he had. Those few Parisian mornings have been some of the most beautiful ones in my life. Wishing all of you more beauty in the little, everyday moments of life. ‘Satyanveshi’ means ‘one who searches for the truth.’ What a beautiful description for a detective! And that’s why, Mr. Byomkesh Bakshi dislikes calling himself a detective or jasoos which he thinks are vulgar terms. I first got introduced to this sharp, intellectual person in the nineties through a popular TV series on India’s national channel ‘Door Darshan.’ The TV series captured my imagination and I can still recall many episodes and their key scenes. Looking back at those times, i wonder at the catastrophic loss in the quality of content now being dished on multiple channels. I haven’t watched TV for the past five-seven years. And I would choose a re-run of content from those days over current fare any given day. Anyways, coming back to the Satyanveshi. Originally written in Bangla by Shardendu Bandopadhyay, you can call Byomkesh the Indian Sherlock Holmes. Much like Sherlock, he is a creature of the intellect, at his best when ‘the game is on.’ Doctor Watson’s role here is fulfilled by Ajit, the friend and chronicler of Satyanveshi’s life and cases. But this comparison is not with the modern Sherlock dished out on the BBC these days. Much like the original Sherlock Holmes, the beauty of Byomkesh Bakshi the TV serial was in its simplicity. Set in a Calcutta (not Kolkata) untouched by the modern era, like Holmes’ London, it has a certain noir quality to it. Life is not encumbered by modern gadgets, people still have time to take a leisurely stroll and there are no constant news feeds to scream for one’s attention. Against the backdrop of this quaint world, human greed and crimes also appear mellowed out. 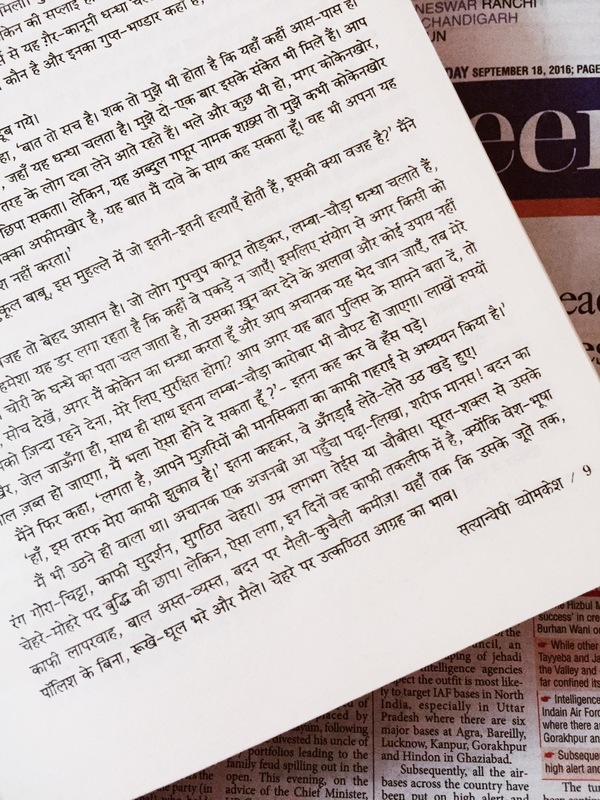 Last evening I started reading Satyanveshi Vyomkesh, a Hindi translation of the series published by Vani Prakashan. The translator is Sushil Gupta and the book is beautifully illustrated (albeit sporadically) by Dharmendra Ravinderlal Paare. I wish it had more illustrations as they bring out a certain nostalgia associated with the lost world of Byomkesh’s times. It was a strange feeling to read the first story, to hear the author describe his main character rather than seeing him on the TV screen. That’s why I’ve clicked a pic of those words when we are introduced to this 23-24 year old, whose very personality looks stamped by intelligence. Somehow, reading a story gives more to the mind than watching it on a screen. So despite remembering the endings of most of the cases (a handicap for detective genre), I will venture forth and read the life and cases of this seeker of truth. I’m sure it will be fun. Ever since I remember I’ve looked at the old ‘kothis’ of the old New Delhi and lament their passing. Places like Old Rajinder Nagar, Karol Bagh and Patel Nagar were filled with these big houses, mansions by today’s standards. 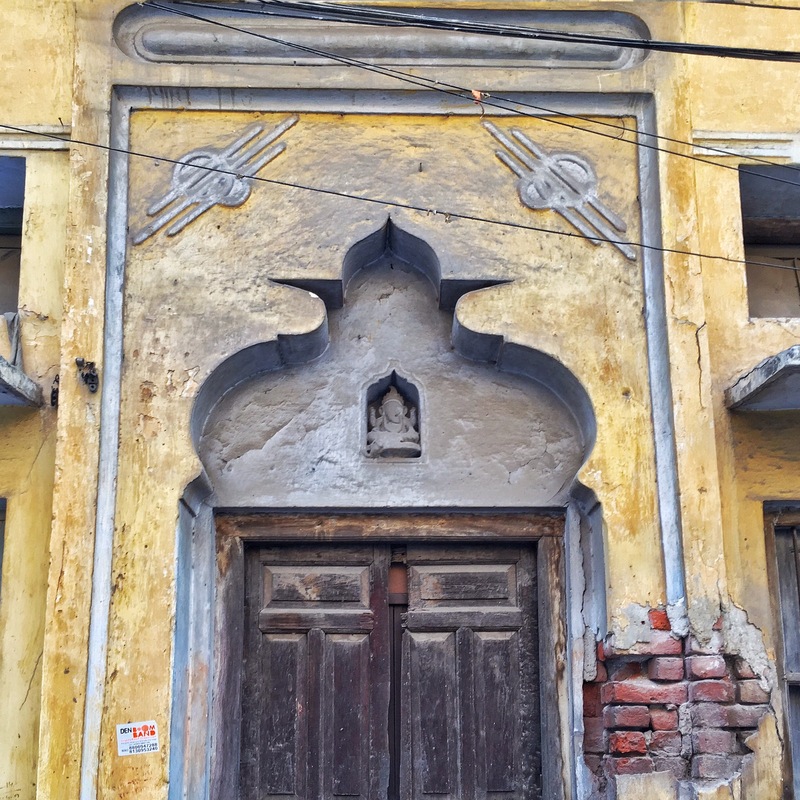 I don’t think these were as old or as grand as the old ‘havelis’ of the old Old Delhi, but they were old enough for me, a kid growing up in the modern, architecturally monotonous government residences. There was something very homely in their wooden doors, shuttered windows and little deities guarding the main doors…as if they had a thousand stories to tell and promised that no kid would grow up alone under their roofs. 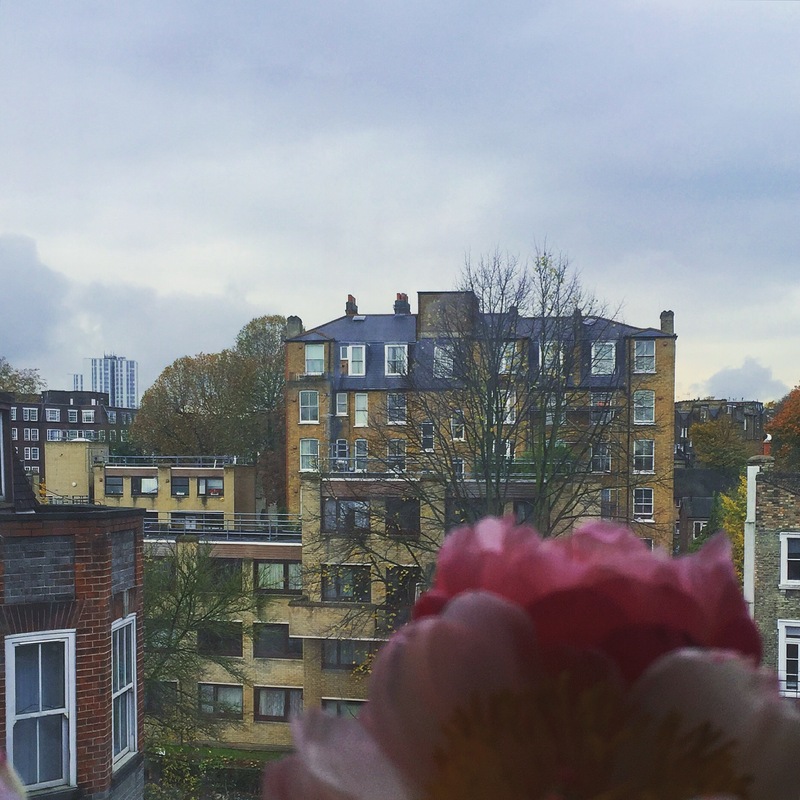 Alas, the old must give way to the new…and when in the space of one such house, four floors of independent, modern flats (or ‘builder floors’ as we call them in Delhi) can be built, profits and practicalities take precedence over old world sentiments. Some innocence though is definitely lost in the bargain. Where does the Sun go for holidays? The peonies I brought home last Sunday have bloomed beautifully. So has the pain I got with my Monday evening’s ice skating adventure. Apparently it was a full body workout disguised as fun. And then, there’s the right hand thumb. I must have tried rather hard to break it. Working (or trying to work) from home today. A writer needs his thumb to write, right? The morning was washed out, rest of the day doesn’t promise much sunshine either. Wondering where does the Sun go for holidays. Definitely not ice skating I assume. 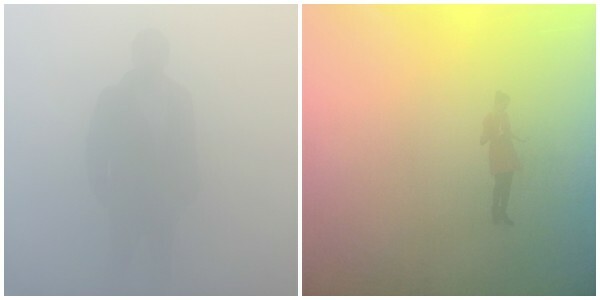 imagine you have entered a room where you can’t see anything except a colourful mist completely enveloping you. the only things you are really sure of are the floor beneath, some voices floating around you and the smiles or shock audible in those dismembered voices. you enter a state of surprise-filled exploration. the first thing you do is to assess how much you can see so that you don’t bump into someone or something. when your mind has grown accustomed to the lack of inputs to process and make sense of, you start walking. putting one foot in front of the other. like when you first learned to walk. the only difference being that now you fear injury. other shapes float in and out of your view like ghosts. their density measured by how near or far they are. and when the mist is really dense, you can hear a voice coming towards you but not see a shape until the body carrying that voice is only an arm’s length away. sometimes even less. here you are alone despite being in a crowd, but more fundamentally, you are alone despite yourself. 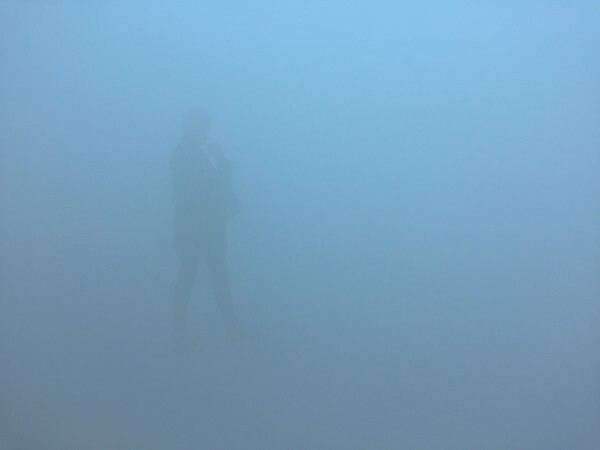 after the rush of clicking images and futile selfies, slowly your mind’s chatter subdues, the mist grows dense, you are in a space which is both disorienting and uplifting. one moment you find yourself scared, the next moment you are grinning. then you stop imagining, stop thinking, something settles to the bottom of your being. you are both connected and disconnected with what you think is you. the mist is still enveloping you. almost like you are in a colourful cocoon. you realise that with direction and perception you have also lost the sense of time. it is time to tear away from this. like life, it was dreadful and joyful till it lasted. it is time to walk out of the room, catch the tube, go home, cook dinner and go to sleep. and then dream. 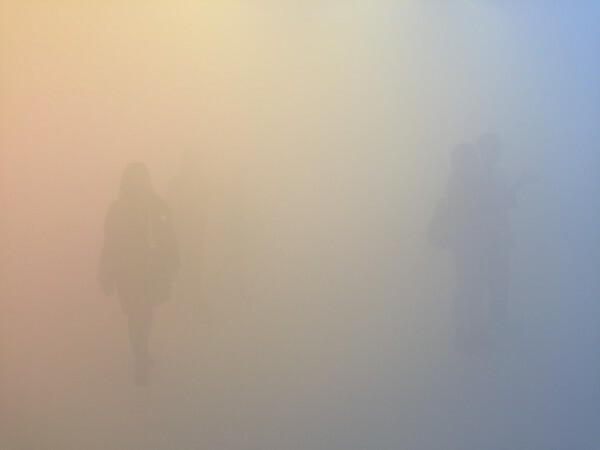 a dream in which you imagine that you have entered a room where you can’t see anything except a colourful mist completely enveloping you. 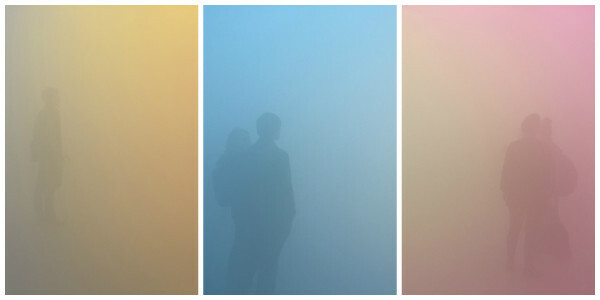 Artist Ann Veronica Janssens’ new installation ‘yellowbluepink’ is on display at the Wellcome Collection in London. I can’t recommend it enough. To know more and visit, click here and here.